English author and publisher; son of Sir Philip Magnus; born in London in 1872; educated at Magdalen College, Oxford. He was the Berlin correspondent of the London "Morning Post" (1897-98) and leader-writer for thesame paper. 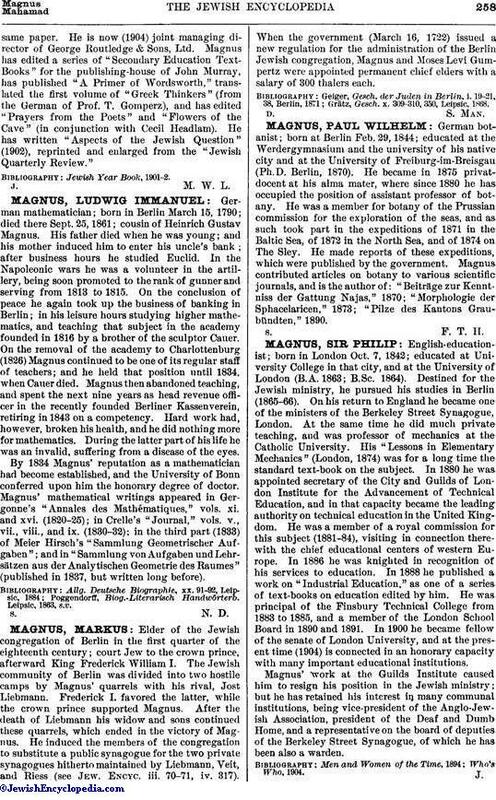 He is now (1904) joint managing director of George Routledge & Sons, Ltd. Magnus has edited a series of "Secondary Education Text-Books" for the publishing-house of John Murray, has published "A Primer of Wordsworth," translated the first volume of "Greek Thinkers" (from the German of Prof. T. Gomperz), and has edited "Prayers from the Poets" and "Flowers of the Cave" (in conjunction with Cecil Headlam). 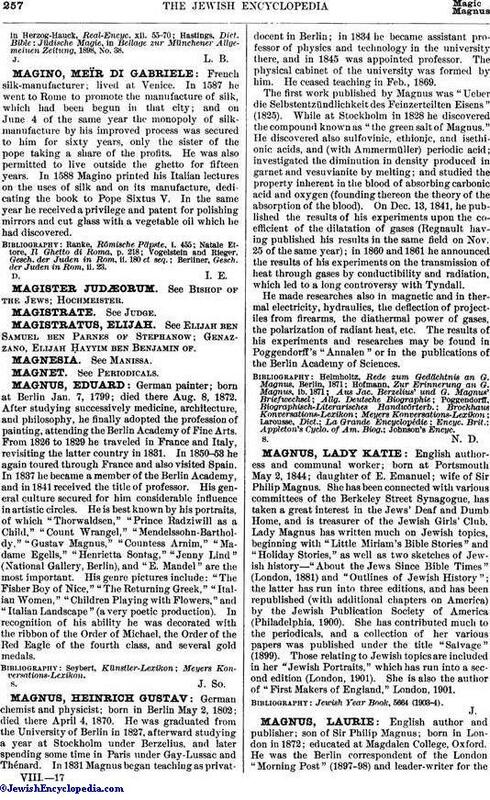 He has written "Aspects of the Jewish Question" (1902), reprinted and enlarged from the "Jewish Quarterly Review."